Welcome to the official Felixstowe Indoor Bowls Club website. Felixstowe Indoor Bowls Club (FIBC) collects, processes, stores and uses personal information of it's members which is only be used or disclosed for the primary purposes for which it is collected. Individual members’ data is held only for as long as required in order for the Club to conduct its business. If the membership is not being renewed for any reason, it will be removed from the Club’s database. For Policy details please click here. 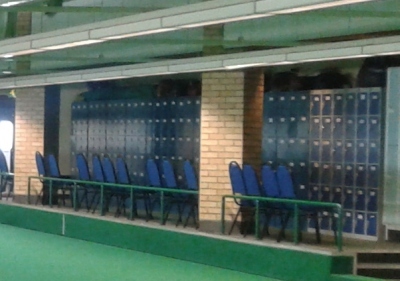 Felixstowe has a thriving and welcoming indoor bowls club situated on the first floor of the Felixstowe leisure centre. Competitive bowling for ladies and men takes place during the day and in the evenings . Social bowling can also be arranged by members during the day and at weekends. Club drives take place during the season usually on Saturday afternoon. Club friendly matches are played against some other local clubs as and when arranged. The Full membership fee £38.00 per year. Associate membership fee is £20.00 per year. Associate members are restricted to play only social bowls and to take part in club drives and club social events. Rink fees vary between £1.80 and £5.00 for a 2 hour session for full members. Associate members pay a slightly higher rate. Details are displayed on the club notice board. Lockers are available for hire ( subject to availability) at £3.00 per year per locker. In Addition £5.00 Deposit Which is refundable if locker is no longer required. Coaching is available for people wishing to find out more about the game of bowls. please Contact Mike or Linda. final to win the trophy. Runner ups from the two groupshave played for 3rd and 4th place accordinly. Steve Friston, Margaret Baker and Chris Dodson won the Trophy. Linda Nunn, Rod Pittock and David Hay becomes runner-up. 3rd and 4th place accordinly. If any member of the club wanting to have a locker, please contact Mahbubul Alam.